Posted by Chris Kareis, Ph.D. The Olympic swimming and diving competitions are some of the most popular events that capture the attention of fans worldwide. 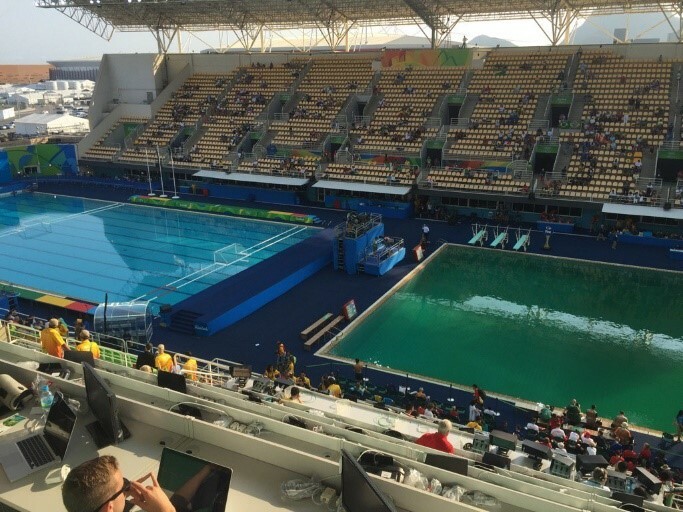 The precise and acrobatic skills of the divers, which usually culminates with entry into crystal blue pools, didn’t quite work out that way this year. The divers were there—but the water clarity wasn’t.